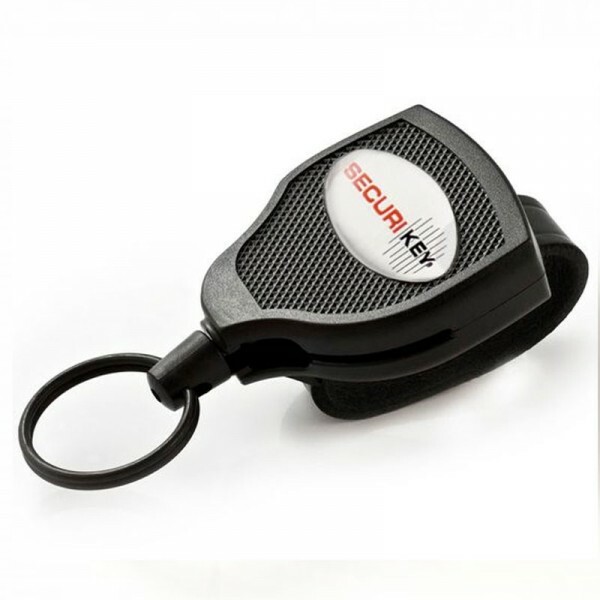 Securikey Deluxe Heavy Duty Keyreel Belt Loop. Rugged deluxe heavy duty self-retracting key reel. Keeps your keys within easy reach. Polycarbonate casing with 1200mm of high strength Kevlar cord. 57mm Leather belt loop attachment prevents keys being ‘snatched’. Unique ball & socket feature allows the key reel to carry large bunches of keys or hand tools. Will carry up to 284g or 15 keys (approx).